With an increasing collective consciousness around the all-too-real horrors of climate change and the dangers of our impact on the environment, sustainability has become a major selling point in the fashion industry. It’s a positive development in theory, but at times can feel as though every brand is shouting about their ethics, throwing around a barrage of buzz words to seduce confused consumers. There’s solace, then, in the knowledge that a small spattering of brands are honouring their word and stepping up to the sustainability game, whilst still producing stylish clothes that people actually want to wear. These solutions exist in the implementation of strict standards and investment into eco-sustainable materials and practices. All of Aeance’s garments are manufactured in Portugal using technologies like glue-bonded seams, laser cutting, water-repellent treatments from renewable resources, biodegradable fabrics, bionic membranes, recycled yarns and the world’s first recycled elastane yarn from Japan. Fabrics, which are sourced from Switzerland, Germany, Italy, Japan and New Zealand, all comply with the strictest eco-standards such as bluesign®, OEKO-TEX®, GRS (Global Recycle Standard) and ZQ Merino. Materials range from eco-sustainable synthetic blends to the finest merino wool, created in partnership with leading mills like Schoeller Textiles Switzerland. 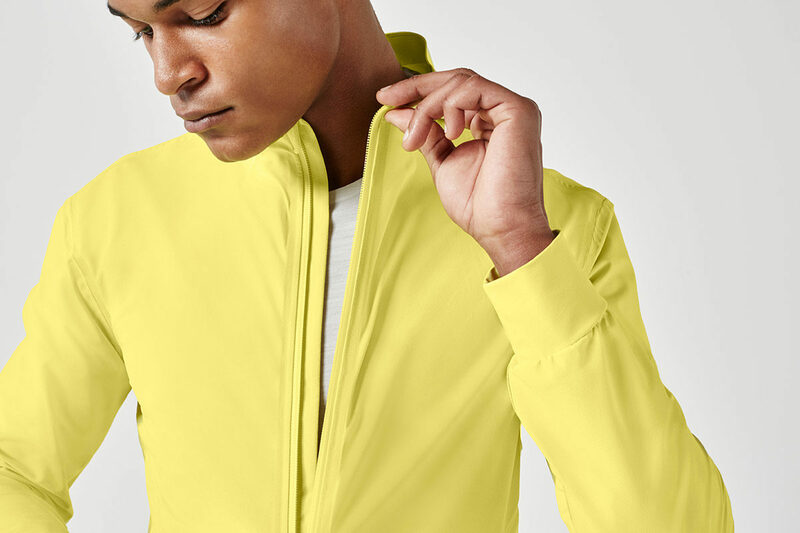 Comfort and ease-of-wear are high priorities for Aeance: unlike many of its activewear counterparts that focus on aesthetic qualities at the expense of functionality, the label builds pieces that truly reinforce the capabilities of the human body and strengthen performance. Borne of Aeance’s ‘slow fashion’ approach and its commitment to producing durable, long-lasting garments is a timelessness that underpins the label’s overall design aesthetic, ensuring that its pieces will retain a contemporary relevance for years - even decades - to come. “We believe in the importance of eco-sustainability, but at the same time in our design philosophy and beauty,” says Baier. “Longevity for us means that a garment is worn often and loved by the customer, which can only happen with a beautiful design.” Aeance’s non-seasonal collections - designed in collaboration with respected fashion designers - are characterised by clean lines, subdued colour palettes and sleek and streamlined silhouettes, enabling seamless integration into one’s everyday wardrobe and bridging the gap between working out and going out. “There’s an energy, an urban appeal and a refined overall aesthetic,” says Baier. “The idea is to invest in these pieces; swap and add them into your existing casual and sports wardrobe.” It’s a refreshing and necessary approach that will hopefully serve to inspire other brands in a similar arena moving forward. Essentially, it can all be boiled down to a fierce belief in a single philosophy: less, but better. Words we can all live by.